Pristine 1995 Dodge Viper RT/10 with just 7,108 miles. Total Production in 1995 was 1,577 and only 307 produced in Viper Emerald Green. 2-Owners, AMAZING condition Inside and Out! Clean Carfax and Autocheck Report with NO accidents and No issues. 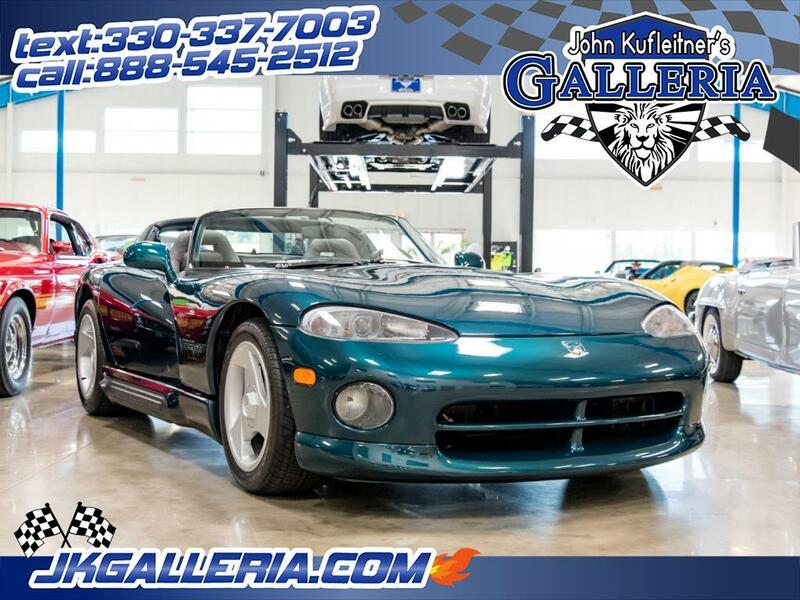 We own multiple Dodge dealerships and I sell a lot of Gen-1 Vipers, I can confidently say this may be one of the nicest available in the world! I posted lots of pictures in the description and they tell the whole story on this one! This car even has Factory Air conditioning, Side Windows, Roof, Bags, and Bimini top. I have Original Window sticker, Manuals, Purchase Order and even dealer invoice on this car! The paint is absolutely stunning with only flaws on paint is on the underside of side exhaust cover. It has had routine maintenance since new including oil changes and fresh tires so it is Ready for a cross country trip, Fly in and drive home or I can assist with shipping anywhere in the world. Have questions? Call Jaison at 330-383-1566. Message: Thought you might be interested in this 1995 Dodge Viper.